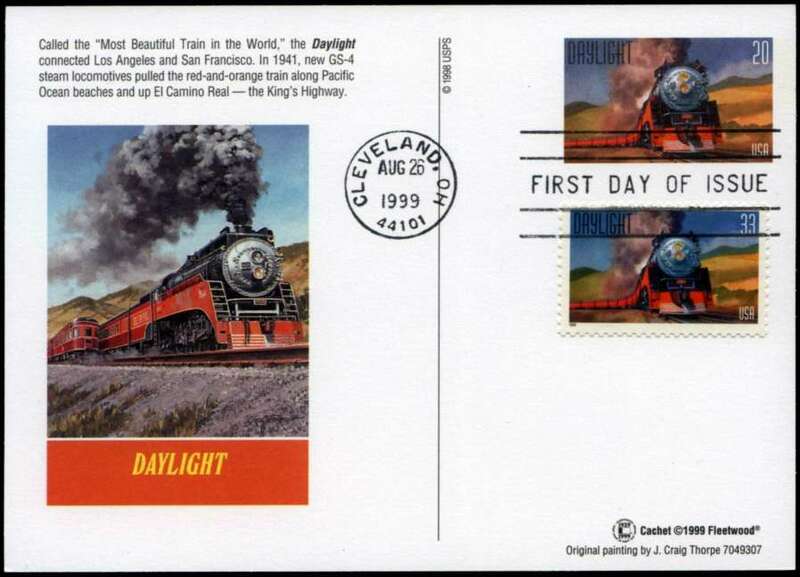 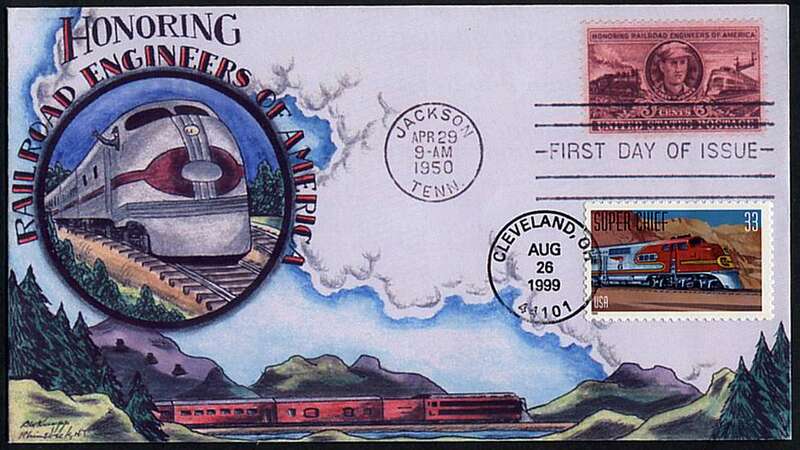 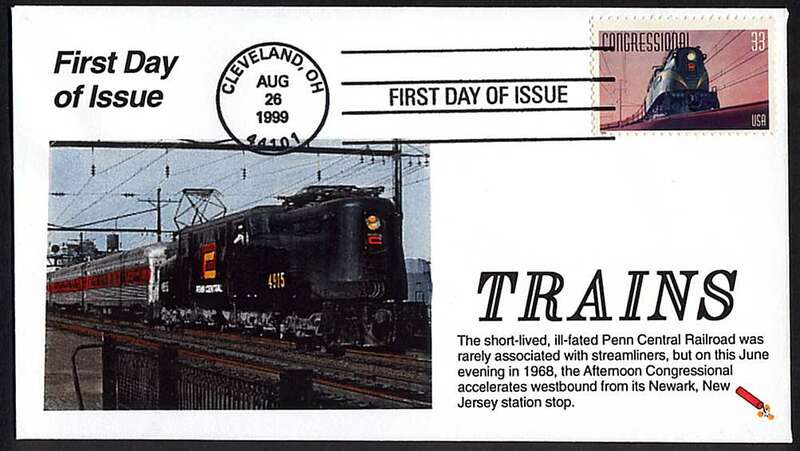 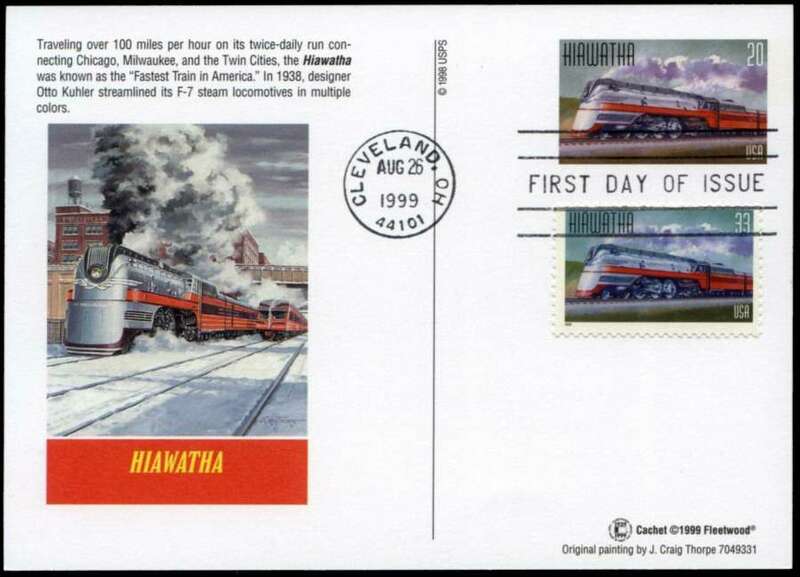 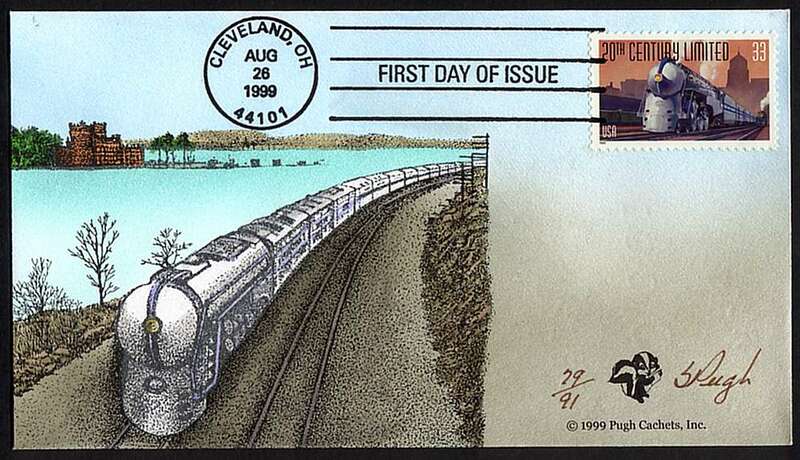 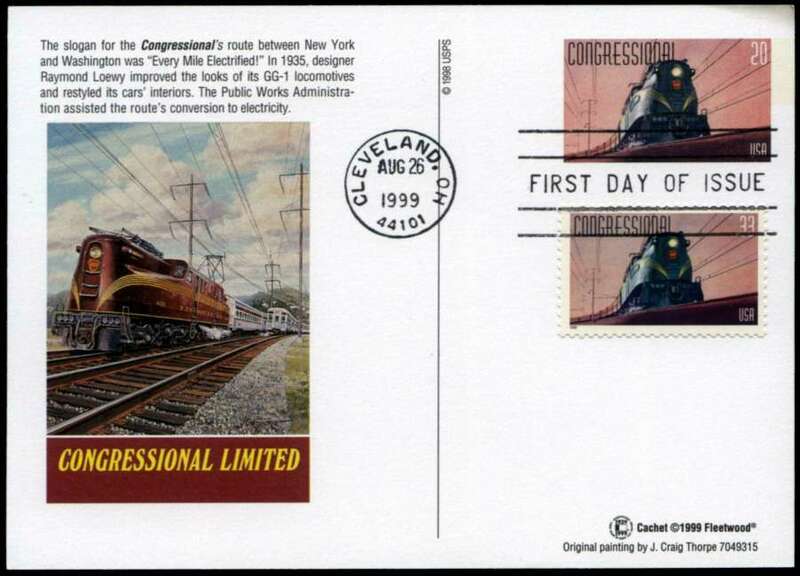 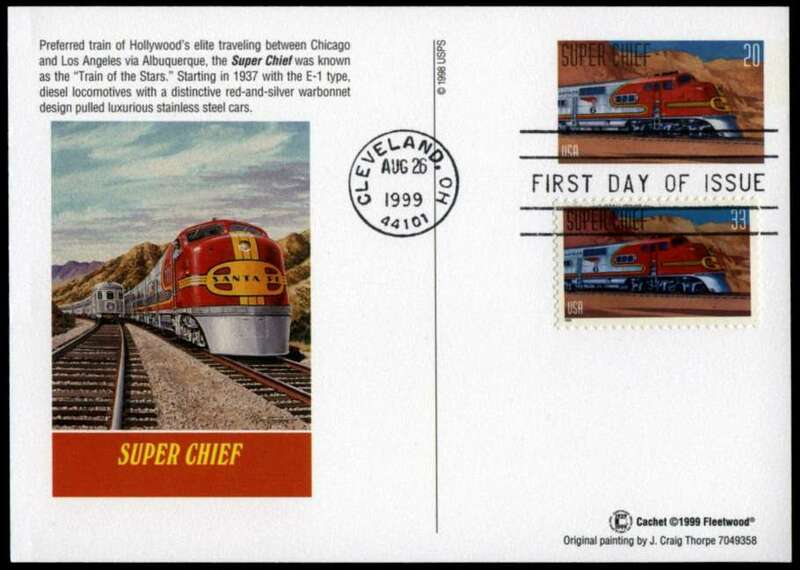 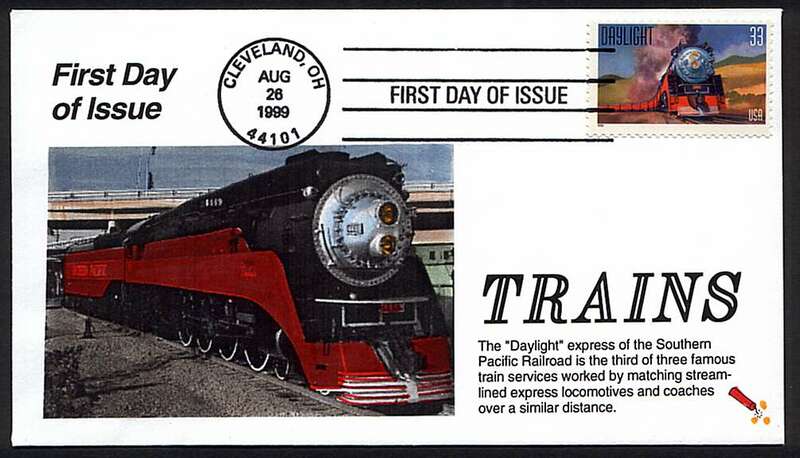 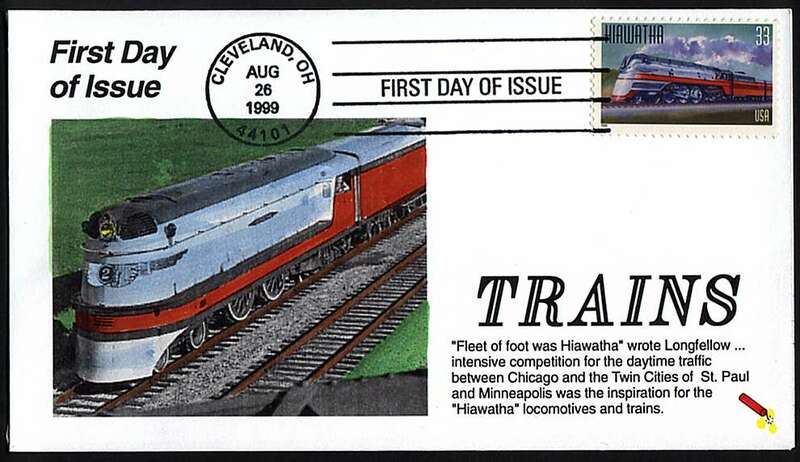 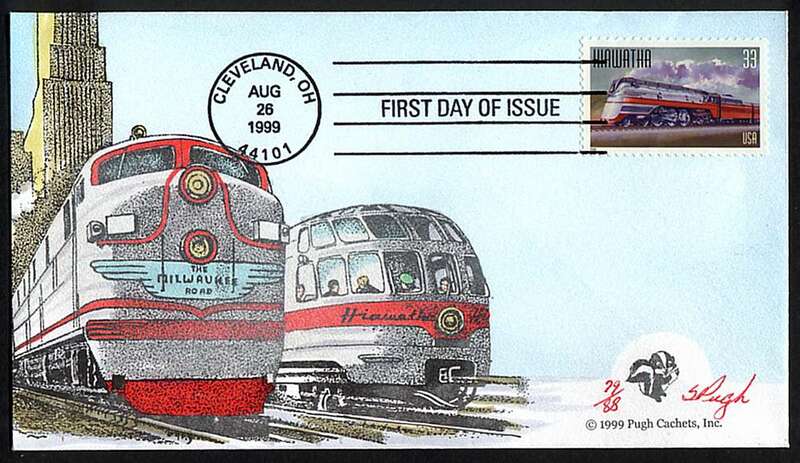 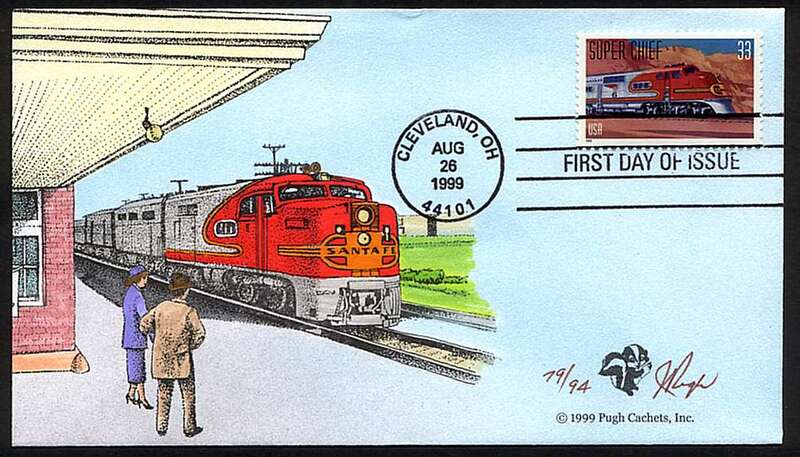 I view this issue as a continuation of a series that includes the two train stamp booklets, each also with five designs. 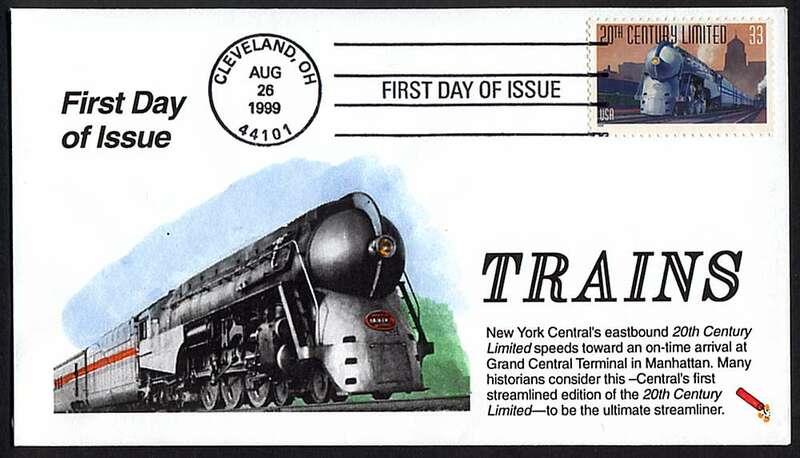 The first issue honored the early years of trains in the U.S., the second their early maturity, and this one what turned out to be their decline into senility. 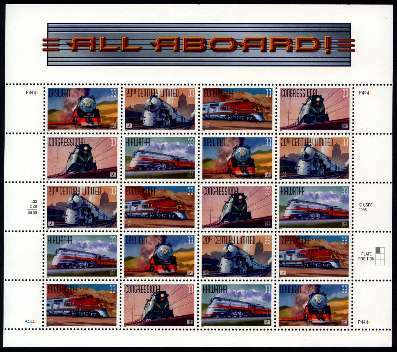 The issue included the sheet of twenty stamps (four strips of five, with the sequence of the designs varying - see below), a six-pane press sheet, and a set of five postal cards sold in packages of twenty, four of each design. 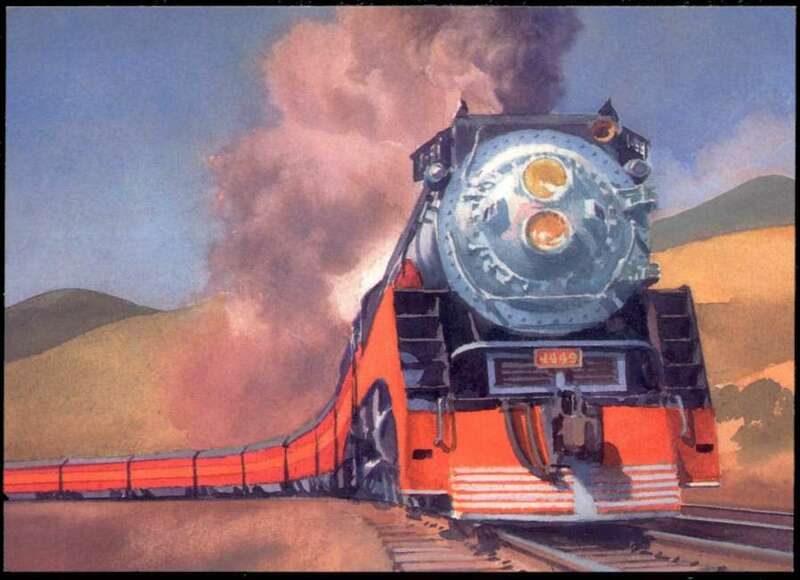 1919 was the year in which trains peaked as passenger vehicles in the U.S., so by the 1930's and 40's, when the trains pictured here came on the scene, the railroads had lost much of their ridership (and freight) to cars, trucks, busses, and airplanes. 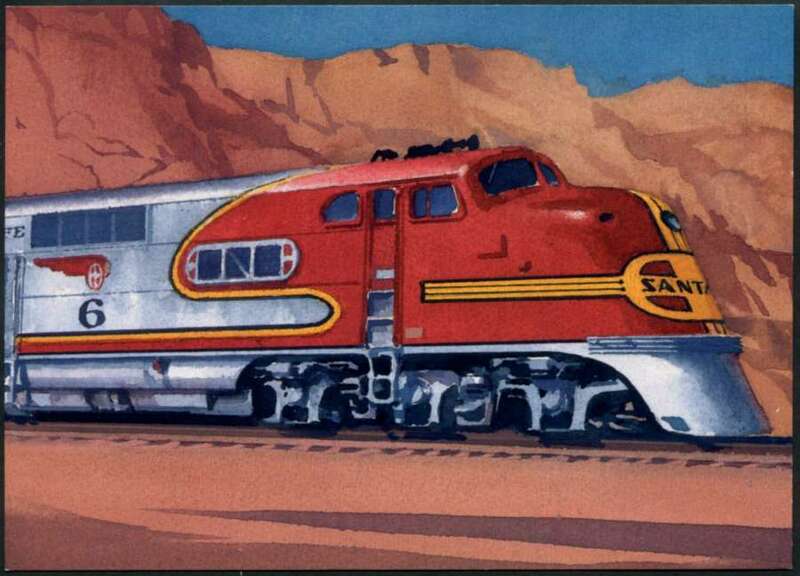 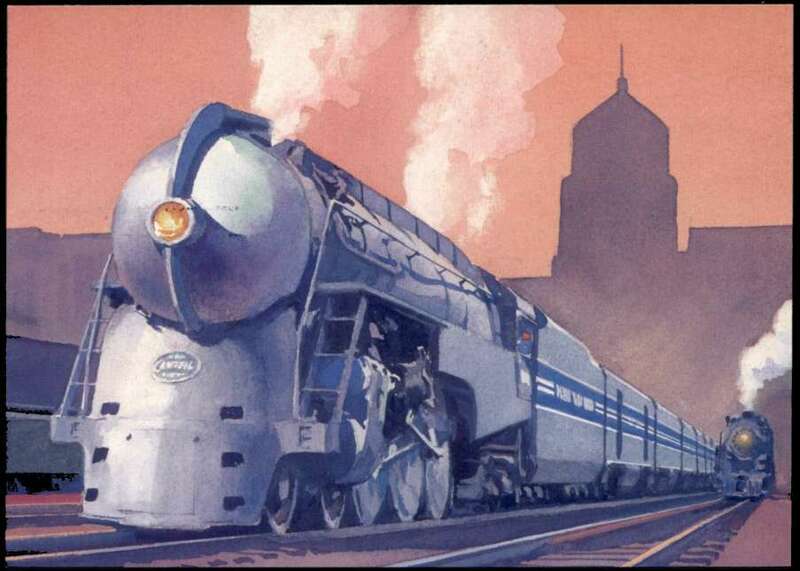 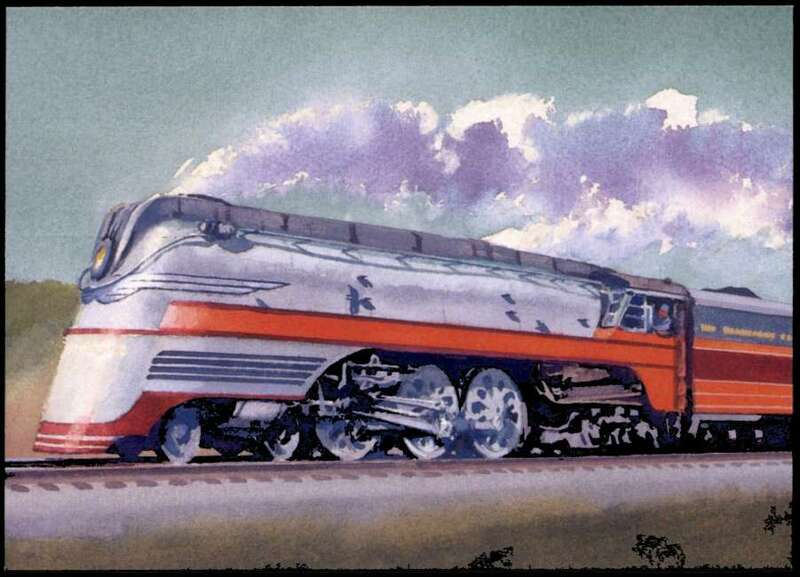 Creation of exciting designs such as these, with interiors to match, was an effort to woo Americans back to the rails. 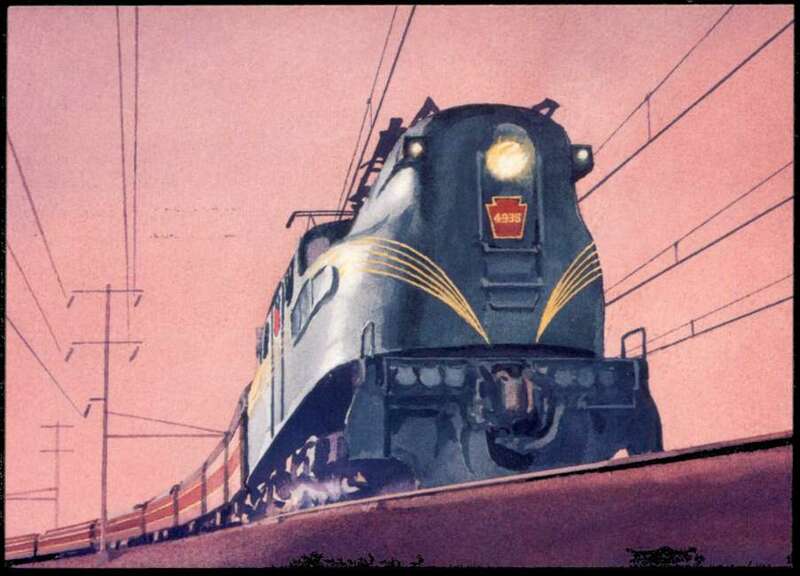 It may have helped delay the inevitable, aided by WWII and the austerity that imposed on Americans, but ultimately there was no way rail travel could compete with cars in this country. 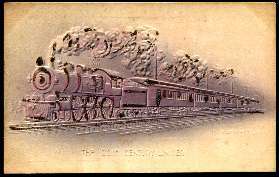 Even in Europe, where they are far more practical, passenger trains survive today only with government support. 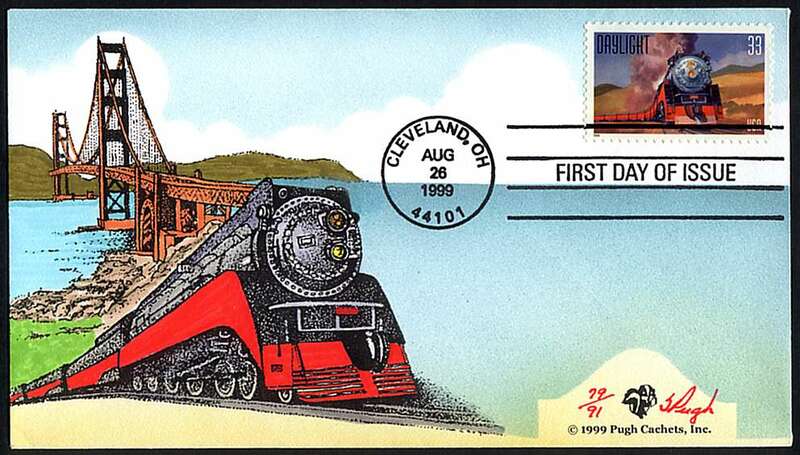 I had planned to attend Stampshow 99, where these stamps were released, but as a computer programmer, I was held captive by the Y2K crisis, and had to cancel my plans. 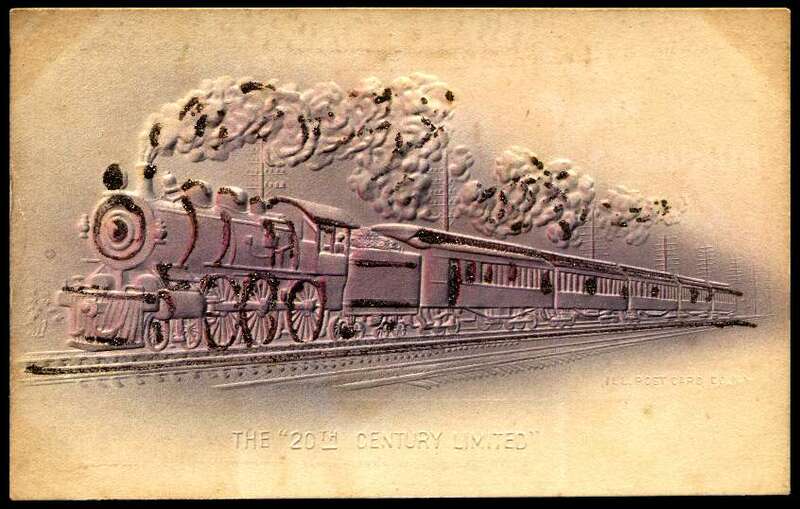 I didn't even have time to create the cachets and FDCs I had dreamed of, but fortunately everyone else in the world did, so there has been no dearth of great souvenirs to add to my collection. 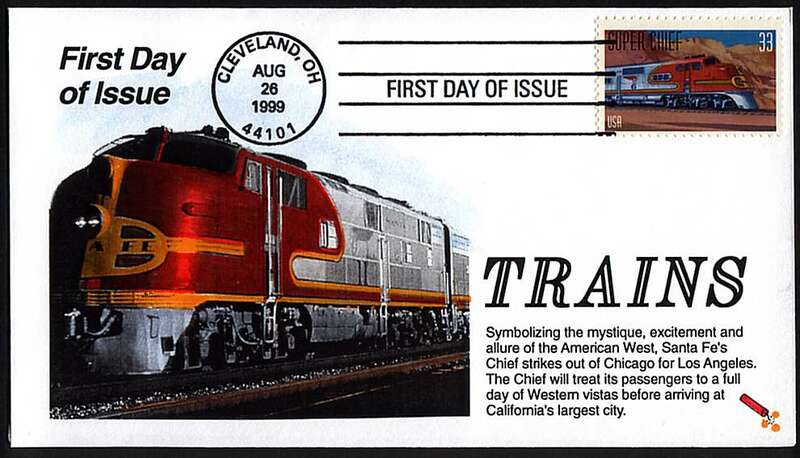 The sets below are simply the ones I feel show the best combination of graphic design and philatelic style, and do not simply repeat the stamp images. 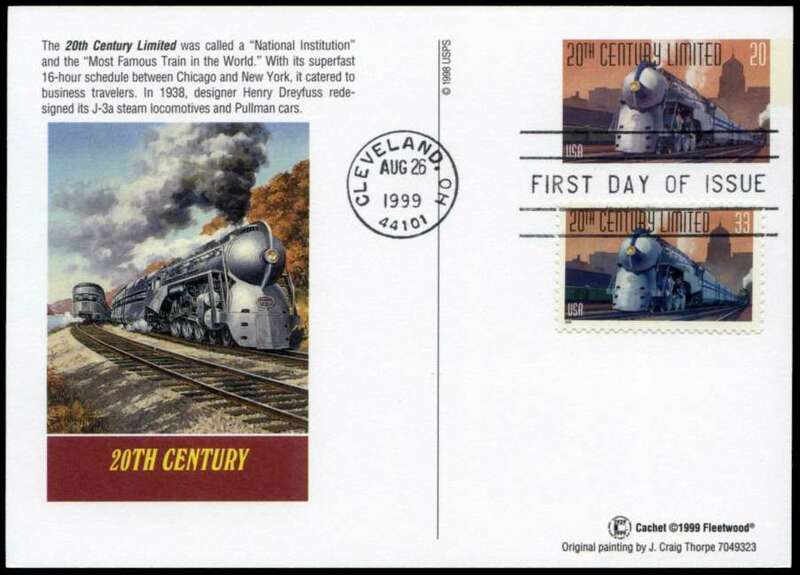 When I first saw the cover below I was thought it was a real Knapp FDC with the new stamp added, and admired the chutzpah of its creator. 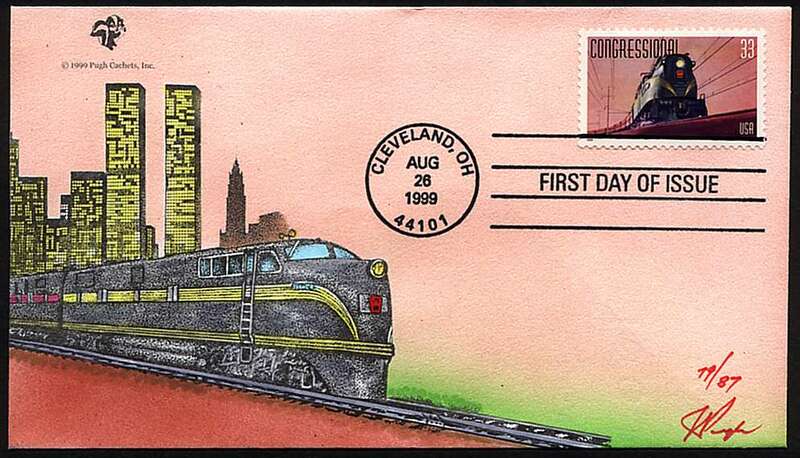 Actually it is only a color photocopy of the earlier FDC, but I still love the homage to one of my favorite FDC creators. 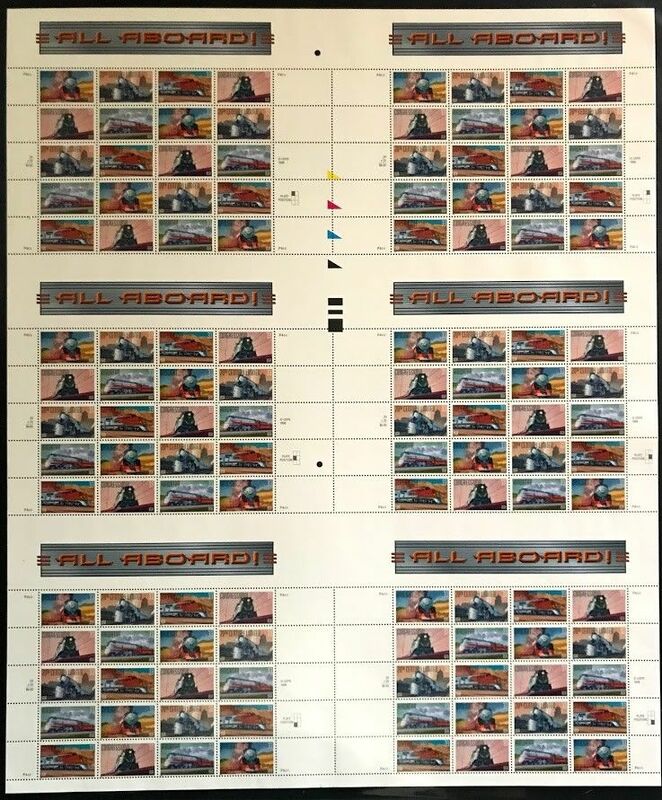 I just wish I had thought to do this myself. 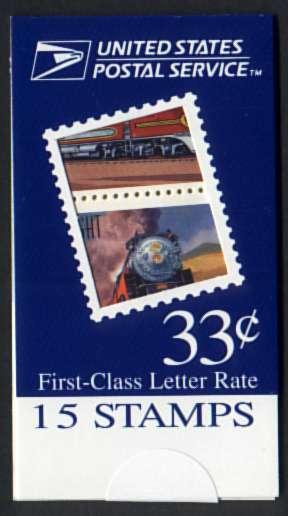 Several years ago the USPS started producing makeshift booklets in generic blue covers like the one below. 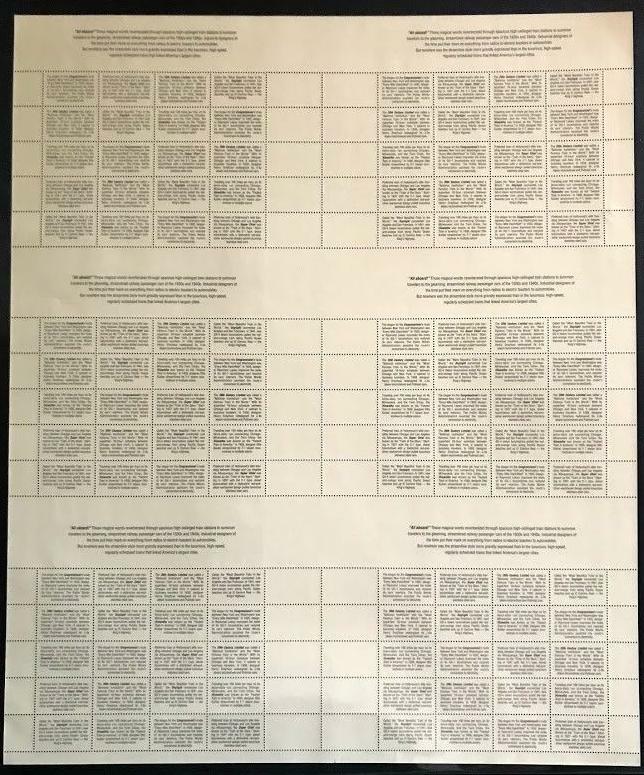 They contain partial panes from current sheets and convertible booklets, looking as though they were put together by hand, some including segments of press sheets not otherwise available, implying that all are constructed from press sheets rather than panes. 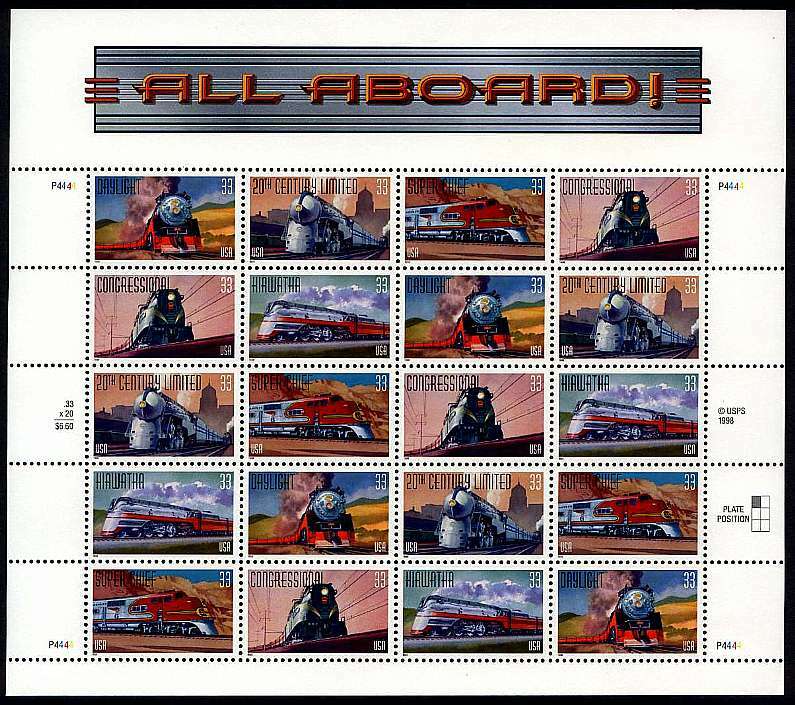 I found the one below in the vending machine at my local PO, with stamps from the All Aboard issue.